Air conditioning and WiFi were excellent - Antonio made everything easy for us. The location was absolutely fantastic! And the host was so generous and more than accommodating, and would go out of his way to help you and make you feel at home. The cleanliness exceeded expectations and we were made to feel at home, casually socialising on out balconies without any complaint and having freedom to feel like Fantasia was a home from home. Essential accommodation, super-clean with air conditioning and WIFI. On arrival Antonio welcomed us with a complimentary drink of ouzo-lemon and went out of his way to make sure we were happy and comfortable for the duration of our stay. Perfect location on the edge of town, five minutes from all the amenities but far enough to have a peaceful time. The location was good.The rooms have air-condition. The parking was close.The owner and the family were friendly. Вид с балкона шикарный! Т.к. в Кавосе много шумных дискотек, то расположение отеля хорошее - музыка не мешает отдыхать при закрытом окне. Очень вежливый и заботливый хозяин отеля. В номере был отличный Wi-Fi (ребенок круглосуточно мог смотреть мультфильмы онлайн). Парковка замечательная - в тени и много места. Правда, очень высокая лестница, не удобно будет с коляской, если что, но нам это не мешало. Tutto bene posto fantastico, non troppo vicino ai locali e la notte si dorme bene senza chiasso o musica, lo staff era preparato e accogliente , camere giusta per due persone , regolare anche come prezzi , L unica differenza dalle foto della struttura e che la piscina appartiene al residence dei vicini , ma comunque questo complesso abitativo offre una piscina a 30 metri in un altro hotel bella e accogliente . 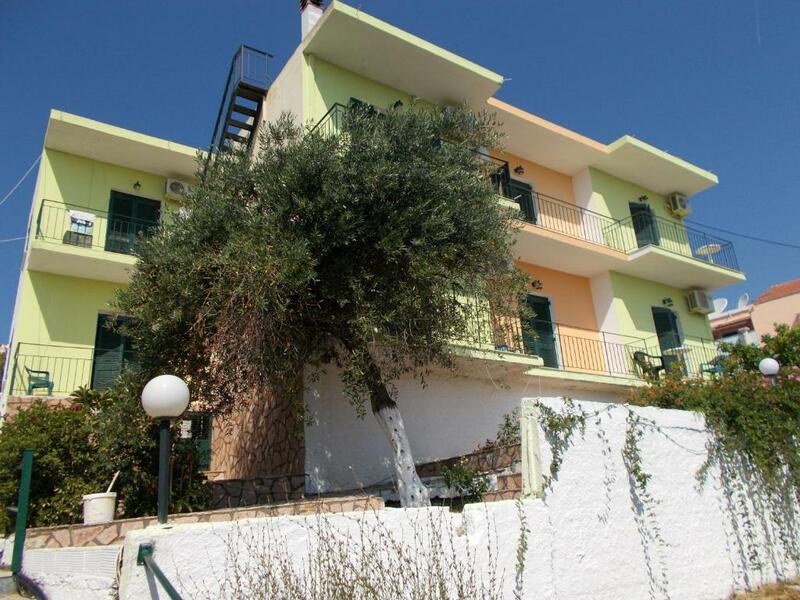 Lock in a great price for Kavos Fantasia Complex – rated 8.3 by recent guests! Boasting an outdoor pool, Kavos Fantasia Complex is located in Kávos, just 650 feet from the beach. Free WiFi is provided. 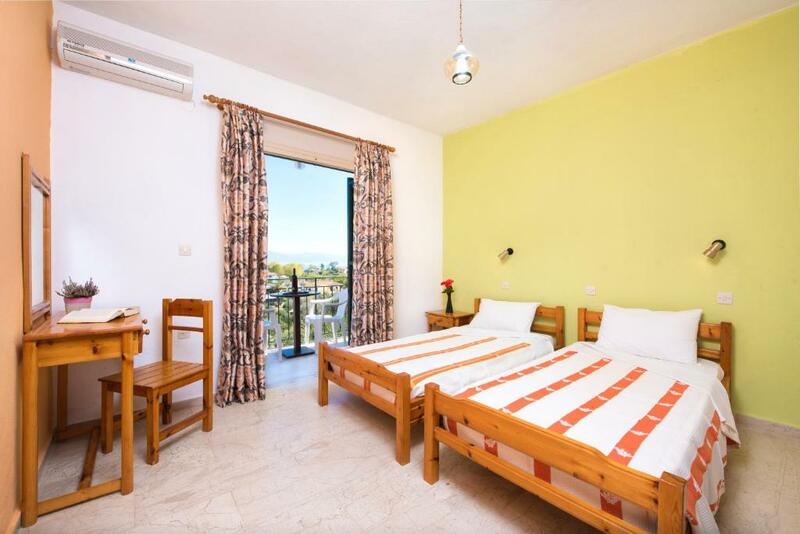 Boasting panoramic sea views from the balcony, all units at Kavos Fantasia Complex include a kitchenette fitted with a refrigerator and stovetop. There is a private bathroom with a bath or shower in every unit. Towels and bed linen are featured. A safety deposit box is provided. Air conditioning comes standard. The center of Kavos lies within a 5-minute walk of the property. 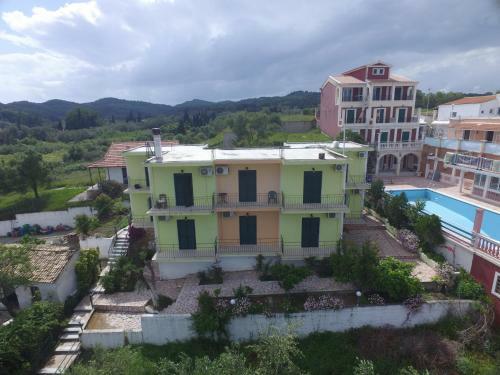 The nearest airport is Corfu International Airport, 19 mi from the property. Free private parking is possible on site. 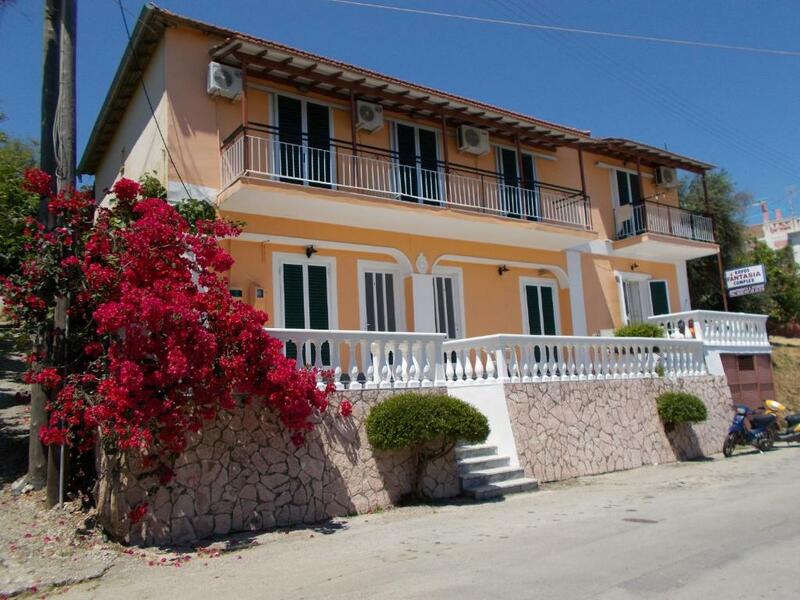 This property also has one of the top-rated locations in Kavos! Guests are happier about it compared to other properties in the area. When would you like to stay at Kavos Fantasia Complex? 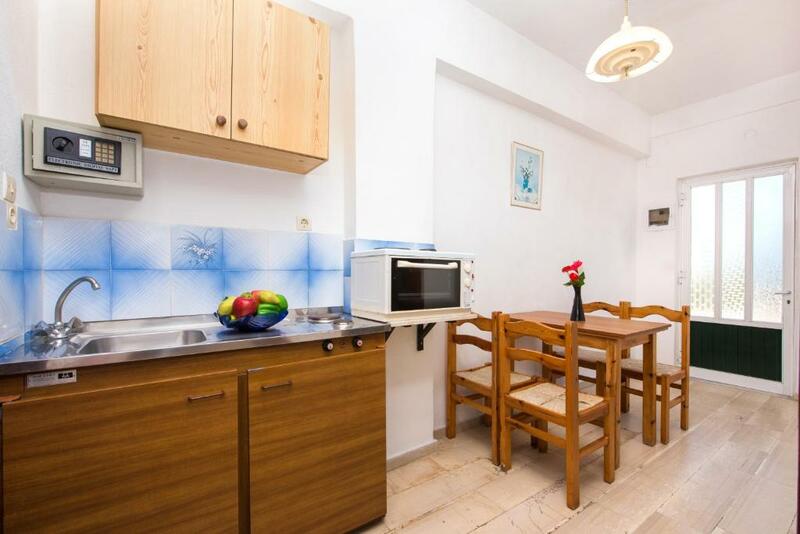 This apartment has air conditioning, tile/marble floor and oven. Kavos Fantasia is the ideal proposal for those who want to relax and enjoy their holidays. 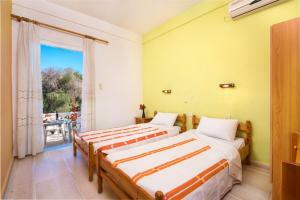 It is situated in the beautiful tourist resort of Kavos surrounded by gardens with trees and flowers. Is 200m away from the clear, light blue waters and the sandy beaches of the Ionian Sea. 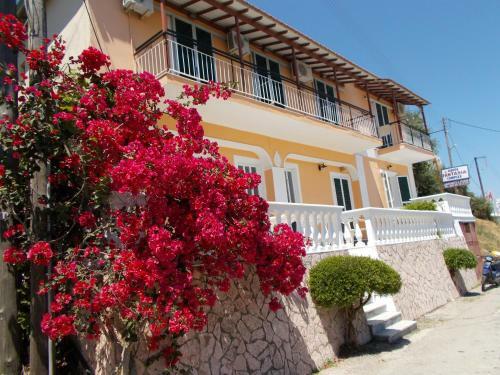 Only 4-5 minutes on foot to the center of Kavos and its vibrant nightlife, our complex gives you the chance to entertain, enjoy the sun and the sea and watch the magnificent, panoramic view over the beach, the sea and the mountains of Epirus from your balcony. However, our location off the main road, makes our complex a quiet place for visitors who wish to relax and rest. Having all of that in mind anyone can entertain or rest his self depending on his desire. If you want to avoid the crowd, it is preferable that you come June or in September,when the weather is very pleasant and the visitors fewer.but if you like the crowd, the parties, the clubs, July and August are the best months to visit Kavos, that is then full of life and filled with people from Greece and abroad. House Rules Kavos Fantasia Complex takes special requests – add in the next step! Kavos Fantasia Complex accepts these cards and reserves the right to temporarily hold an amount prior to arrival. Please inform Kavos Fantasia Complex of your expected arrival time in advance. You can use the Special Requests box when booking, or contact the property directly using the contact details in your confirmation. The pool was not open when we stayed, although we were out of season so this is understandable. We were offered access to the pool 2 seconds down the road which was impeccable, so this was actually no problem really. The review of the pictures for this property does not match with the reality. The property does not have the swimming pool as it is posted at booking.com website. We requested to have both rooms close to each other. Even we paid extra 10.00 Euro as per owner request, we were accommodated on the different floors. The hotel did not have soap and shampoo. We have to buy it by our own. The rooms did not have TV and telephone. The fridges were noisy.To many mosquitoes in the room and very noisy propriety. The bathroom and showers space was very small.